This month we're asking our autistic community members What Do You Want? What Do You Need? We'll be featuring their answers all April long, right here. 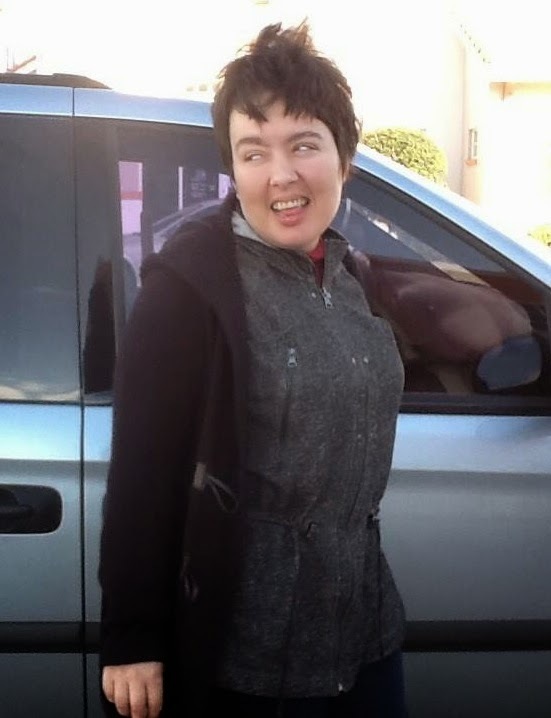 Today we're having a conversation with autistic advocate Amy Sequenzia. Please read, listen, and share. That I might need a lot of help with things that are simple and easy for most, but my activism begins in my brain, and my brain is accessible only to me. Conversations about autism that don’t have Autistic voices because these conversations usually miss the point. But I think “avoid” is not accurate since I tend to inject myself in the conversations and speak up. I try to avoid news about abuse and murders of disabled people because these hurt too much. I have a pretty good living space. It is not cluttered and it is peaceful. I also have a pretty good living situation. I like to read, or listen to, historical events, human rights, civil rights and disabilities rights accounts. I like biographies of people I admire and anything written by Autistics who share my view of acceptance. I like movies that are about real struggles and real people, I love musicals and sometimes I feel mellow enough to enjoy a romantic comedy. I don’t like TV very much and I don’t really follow any show. Real experiences, with Autistic input, without Autism Speaks brand of tragedy and despair. Because they are so powerful and influential in the media, they hijack the conversation. A non-speaking Autistic character would be awesome. The media needs to shut up and reset. It needs to include Autistic voices in every single thing they report and portray about autism. Right now, the mainstream media listens only to Autism Speaks, “experts” that base all their opinions in a medical model that don’t even talk with Autistics to ask us about our feelings and thoughts, and parents of Autistics, even when those parents are abusers or murderers. I think a good start would be by changing the media, for the reasons I already mentioned. I don’t know of one thing that could make the world accept us. I can only keep speaking up and trying to reach out to people who want to listen to us. Some parents are listening and being true allies and their young children are growing up being loved and accepted for who they are. Many of them are already using their voices to say that demonizing them and demonizing autism is not ok. Maybe we are already changing the world, we just can’t see it yet.